Locally, works on the Moggs Creek bridge are about to commence with an increase in activity in the area recently. The current bridge built in 1956 is at the end of its design life and needs to be replaced. Expect to see plenty going on. The pedestrian arch will be removed and then a temporary bridge will be lifted in meaning the road will be closed for periods of time in a couple of months. The plan is for the new bridge to be completed before Christmas. Also, please note that Forest Fire Management Victoria (FFMVic) will be conducting a number of planned burns in the area over the next few months. FFMVic will work alongside the CFA to carry out a fuel management program in Victoria. The burns will cover an area over thousands of hectares. For more information head to ffm.vic.gov.au/planned burn. Finally, a huge congratulations to our very own Kerry Norton who completed the Surf Coast Trek last weekend. 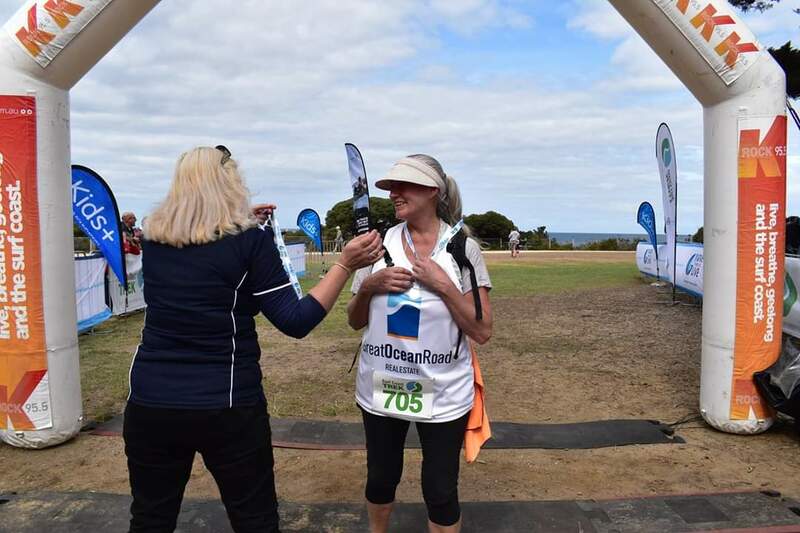 The Surf Coast Trek is a 40km fundraising walk from Aireys Inlet to Torquay. Out of over 900 entrants, our Kerry finished 74th which is amazing for someone in her sixth decade of life! Well done Kerry, you have put us all to shame, but made us very proud.